The Flex 3 tree control has an issue with icons. The issue is you cannot define icons via the XML dataprovider for branch nodes (a branch is defined as non-leaf node). That sentence is a bit dense so let me explain with an example. The second node (label=”Channels”) renders with the default icon instead of the defined channelsIcon (this is defined as an embedded image which is not shown). I’m actually not sure if it’s an issue, a design flaw, or if there’s another way to do what I want that I’m just not getting. Either way, I did the first thing I always do when a Flex component doesn’t behave the way I want… open the hood and start hacking. It seem like case 1 should be able to handle custom branch icons, but I could not figure out how to get that to work with XML (any enlightenment on this would be appreciated). It was easy enough to figure out the logic and rearrange it though. If you take a look at the priority of operations you should see the problem at case 3. If it finds a node that’s a branch it uses the default folder icon (either folderOpenIcon or folderClosedIcon). If you remember our example tree this is exactly our problem. Rather than the tree item rendering the default icon renders. Now if we looks at the 4th case, we see that the logic is there to use the iconField (@icon in our case), but it never gets to it on branch nodes! It just uses the default icons because of case 3. It’s been quite a bit of time since I last posted, but I just wanted to take a moment to extend a belated thanks to all of those who donated to my campaign to aid the victims of cyclone Nargis. I didn’t quite reach my goal, but we managed to raise $1,498 for Doctor’s Without Borders. Thanks again so much everyone! As the title says though, a change is gonna come. Over the next few months I’ll be making some changes to the blog and hopefully posting more. Till then, I’ll let Lauren explain. A survey of families in 291 villages showed that 55 percent have less than one day of food left and no stocks to fall back on. Some 924,000 people will need food assistance until the November rice harvest, while around 300,000 will need relief until April 2009. The fishing industry, the delta’s second-most-important source of income and food, remains devastated. More than 40 percent of fishing boats and 70 percent of fishing gear were destroyed and very little has been replaced. More than 360,000 children will not be able to go to elementary school in coming months because at least 2,000 schools were so badly damaged they cannot reopen anytime soon. 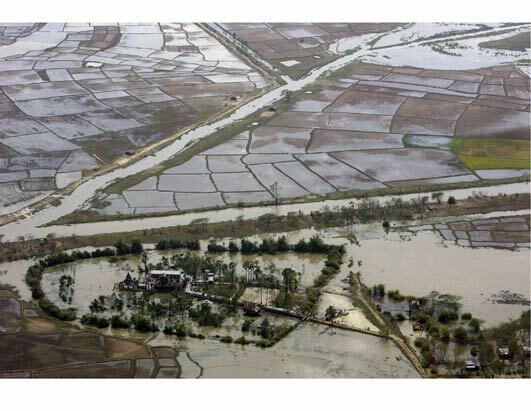 In addition, the Daily Times reports that the UN is pleading for another $51 million to help restore the destroyed rice paddies. As the presidential politics and the Olympics dominate the headlines, there continues to be a critical need for aid in Myanmar. The lack of media coverage means organizations like MSF (Doctor’s Without Borders) who are making great progress in Myanmar have a much harder time raising money they need to continue operations. We’ve made great progress so far with nearly $1500 raised, help me make it $2000 with a donation today. Yes, you’re reading correctly, that’s over 7,000,000 pounds of rice and beans delivered to date. In comparison, the US Department of Defense delivered 10,000,000 pounds of “food and supplies” during the 2005 Tsunamai according to whitehouse.gov. All of the work MSF has done is truly amazing, but with an estimated 2.4 million people in need of food and shelter in the wake of the disaster, there is still a great need for more resources. Thanks to everyone who’s taken the time to help. While I’ve set the bar high with a $5,000 goal, I’m proud to report that you’ve almost doubled my initial donation of $500, which is absolutely fantastic. For those who haven’t donated yet, please take the time and donate today. As little as $25 can make a real difference. 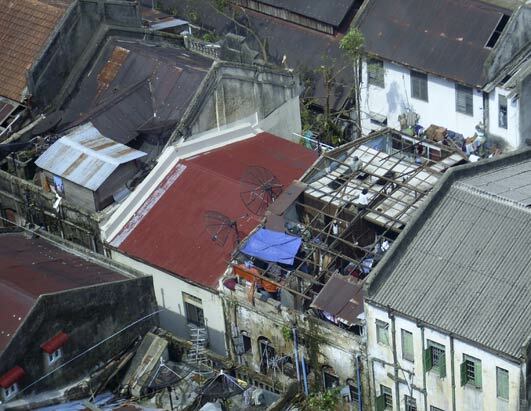 .. the cyclone had destroyed 42 percent of Myanmar’s food stocks and 55 percent of families had stocks for one day or less, meaning food aid was needed in the affected areas for many months to come. This is precisely why I’m supporting Doctor’s Without Borders (MSF). They are an extremely capital efficient organization, who are not only providing medical care, but also much needed food aid to Myanmar. With a donation of as little as $25 MSF can deliver 2 meals a day to 150 children. Please take the time to donate. A few people have asked over the past couple of weeks if the funds donated to Doctors Without Borders will be earmarked specifically for the relief effort in Myanmar. I’m happy to report that I received confirmation before the holiday this weekend that all funds donated via my firstgiving page will be properly allocated for Myanmar. Thanks so much to everyone who’ve donated so far. We’ve managed to raise $1,250. For those of you haven’t had a chance yet, now is a fansastic time. For as little as $25, Doctors Without Borders can deliver two meals a day to 150 children. Please take a minute to donate. […] a great number more suffered far worse conditions and had nothing left but the clothes on their backs. Some did not even have that: the storm blew them off while they clung to trees for survival as the cyclone tore away their homes and their families.